Freeport, TX lays off to the east in a shroud of sea fog, while the San Bernard heads in a southerly direction before making a familiar turn to the west to meander as far as it can, trying to find a way out to the Gulf. 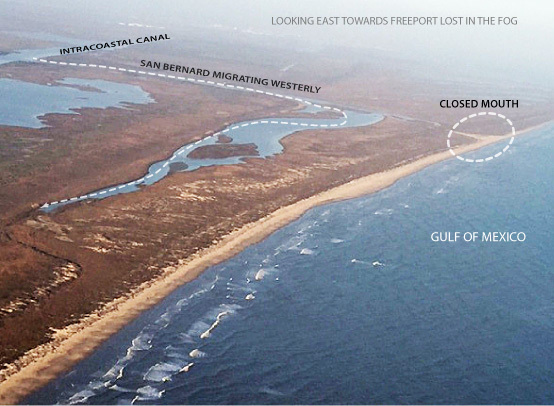 Attend the Sat Feb 18, 4:00 pm, "State of the River" meeting at Dido's Restaurant and hear an update of (any) progress of reopening the mouth from County Commissioners. Open to the public!